Age spots or lentigines are brown of yellow colored blemishes. There are many causes of age spots such as aging, sun exposure, genetic conditions, nutritional deficiencies and other health related problem. 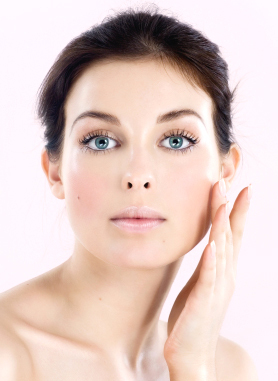 Also, there are many treatments for age spots of face like use of bleaching agents, chemical peels, and laser treatment. In order to lighten age spots safely, at your own home, try to make a good skin care regimen and use some home based tips on how to lighten age spots on face. Aloe vera is used to treat various skin related problems. It is also effective in the treatment of age spots. Apply aloe vera juice or gel on your face or on affected area. Use it regularly for few weeks. Make a mixture by combining apple cider vinegar + juice of onion. Apply this resultant juice on your face. Lemon juice is known for its skin bleaching or skin lightening properties. Apply diluted lemon juice (mix equal quantity of water) on your face. Castor oil is also beneficial in the treatment of age spots. Just apply this oil on affected areas, twice daily for few weeks. Apply cucumber juice on your face to fade age spots. Make a mask by mixing few drops of rose water with sandalwood powder. Apply it on your face for about 15 to 20 minutes. Wash off with water. You can also apply butter milk to the affected area. Avoid sun exposure and use a good quality sunscreen lotion (more than SPF 15) everyday, before going out in the sun. Drink plenty of water to get rid of toxins.